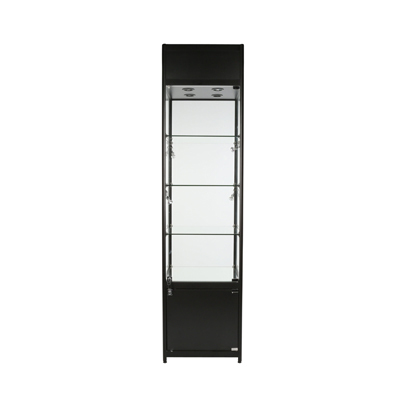 Elegant Lighted Showcase arrives to you fully assembled and ready to use. 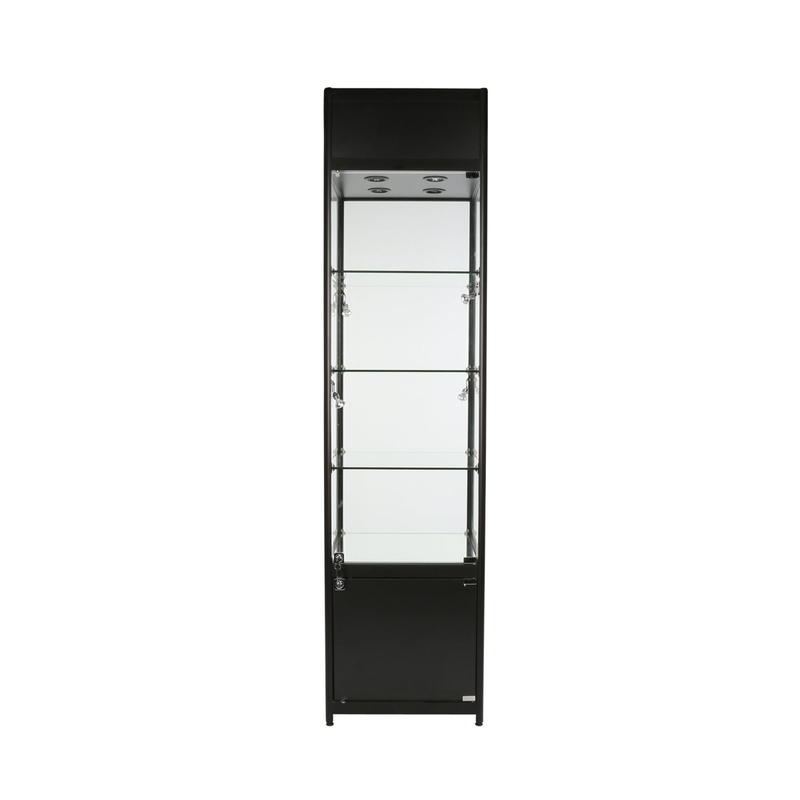 The Square lighted tower showcase display is made from tempered glass with black anodized aluminum framing and scruff/scratch resistant crown top canopy and cabinets. Showcase comes with 3 glass shelves. 11 in. between the mirror base deck and the 1st glass and 15 in. between the rest of the shelves. Glass shelves hold a total weight of 44 lbs. per shelf and mirror base shelf holds a total weight of 88 lbs. There are 4 sealed beam halogen spotlights in the top canopy and 4 mounted halogen mini-spotlights along the sides for additional product highlighting. Switch the included halogen lights with our LED lights, sold separately. Search items 4997 and 4998. The bottom cabinet is 19 3/4 in. H and has single locking doors and 2 keys. Includes 6 ft. standard electrical cord. Tower display ships fully assembled. Approximate weight is 185 pounds. Not available for private residence delivery.